Cloisonné Blue Ribbon Pendant 1.25" diameter with petal cut edge (chain Not included). 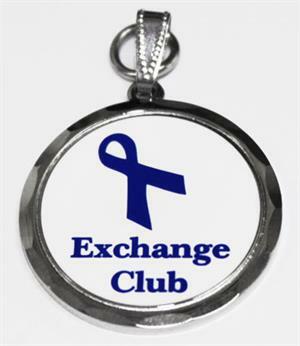 Raise awareness for Exchange’s National Project, the prevention of child abuse, with this new Blue Ribbon T-Shirt. 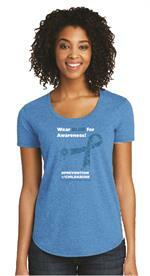 Shirt is 100% ring spun combed cotton with tear away label. Ladies feature a scooped neck & curved hem. Available is sizes Medium-2XLarge. 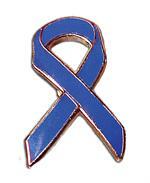 3’ x 5’ nylon flag - white with blue imprint, reinforced grommets.